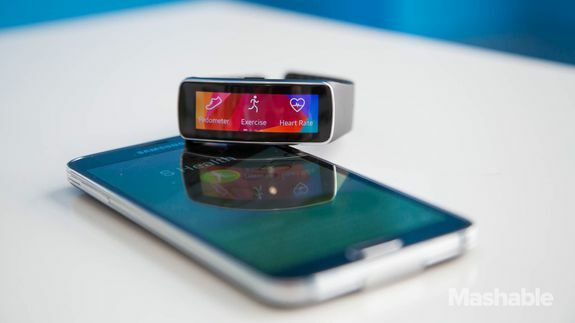 Samsung Gear Fit Is Beautiful, Inside and Out - trendistic.com: ever tried. ever failed. no matter. try again. fail again. fail better. When Samsung announced its ultra-sleek Gear Fit device in February, tech journalists heralded the fitness tracker-smartwatch hybrid as the wearable we’ve been waiting for — something that’s easy on the eyes in a space filled with clunky products that only sort of hit the mark.